This post highlights some of our favorite Fall/Autumn/Halloween spirited forms of entertainment. I recently purchased the whole series of Over the Garden Wall from Cartoon Network. My girls and I watched it two years ago when it featured and loved it. Savanna and I have been enjoying watching it in the evenings as of late when I haven't been studying. And speaking of studying... I am done for the moment so the first thing I did was pick up a book for fun. I chose the Alice Hoffman series about a 15 year old witch named Green. The two books Green Angel and Green Witch are mashed together in one book called Green Heart. I am enjoying it as of last night while I took a bubble bath. After I type this up and hit "publish" I will be cracking it open again. 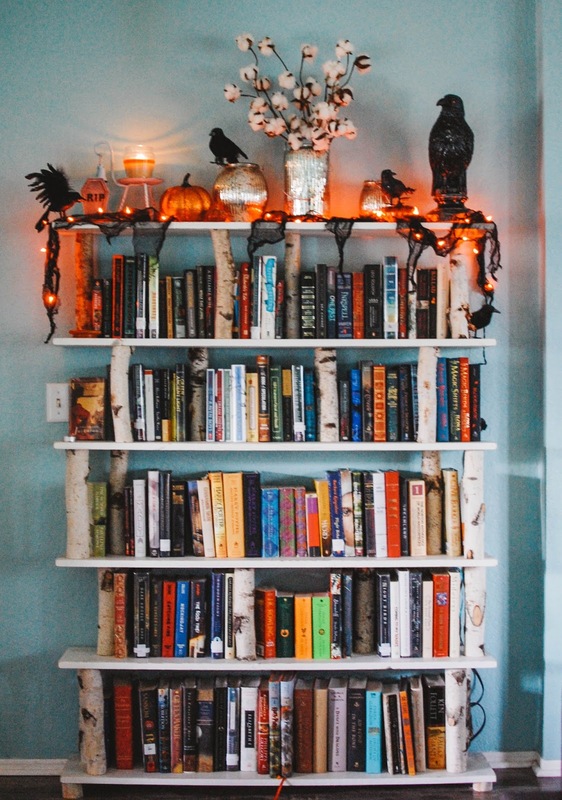 Do you have any favorite fall or autumn or Halloween books, shows or movies? I've added those books to my Amazon list. Witches FTW! I'm also reading a witch series. I'm on the second book of the Hex Hall series. I like the classic Halloween movies like Halloween, Pyscho, Rosemary's Baby. And Charlie Brown! If you don't get around to getting it, let me know and I will mail you this one to borrow. I just finished it. It went down like candy. I loved it. I need to read this Hex Hall. Favoeite Halloween entertainment such as movies would be the Halloween Town (series), Hocus Pocus, anything with Witch Hazel in it from Looney Toones, Practical Magic is also a good one. The Worst Witch on Netflix is a cute show, I think your girls would like it. Definitely a few times they stole ideas from Harry Potter but still cute! My favoeite Halloween books are mostly from my childhood as they just bring back memories and as I've seen A few in stores recently pop up, I've been so tempted to pick them up. The Big Pumpkin being one of my favs. Im not sure why my spell check wants to spell favorite that way... ugh. Stupid phone.